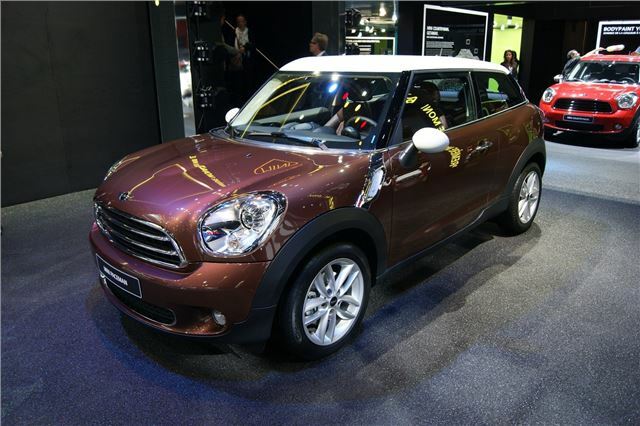 The MINI Paceman was first shown as a concept at the North American International Auto Show in January 2011 as a MINI Countryman based three-door Sports Activity Coupe. It's now arrived in production form at the Paris Motor Show, and is to go on sale in March 2013. Four versions will be available including a MINI Cooper S Paceman with a 0-62mph of 7.5 seconds. The three-door Paceman is built on the Countryman platform and is 4,115mm long, which makes it almost identical in size. Basically it's a MINI the size of an Audi A3. Highlight of the interior is the rear seat. Two individual chairs provide generous levels of head, shoulder and knee room with outstanding comfort and support. Armrests have been integrated into the rear trim. 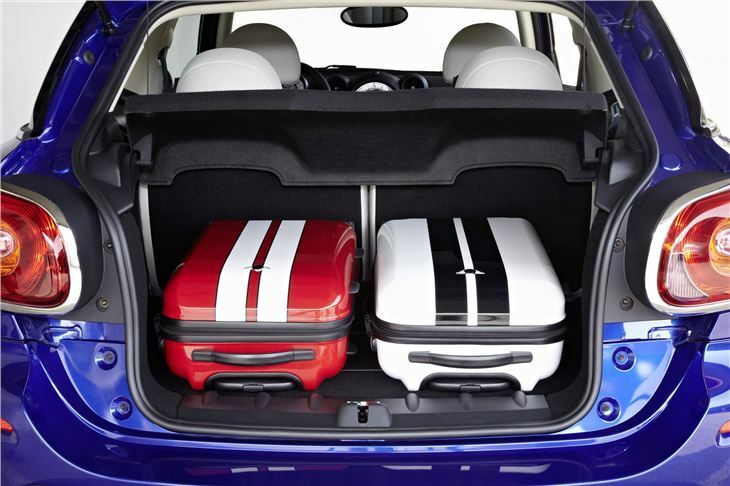 A two-section version of the MINI Centre Rail storage and attachment system - first seen in the Countryman - comes as standard. A full-length variant is available as an option. 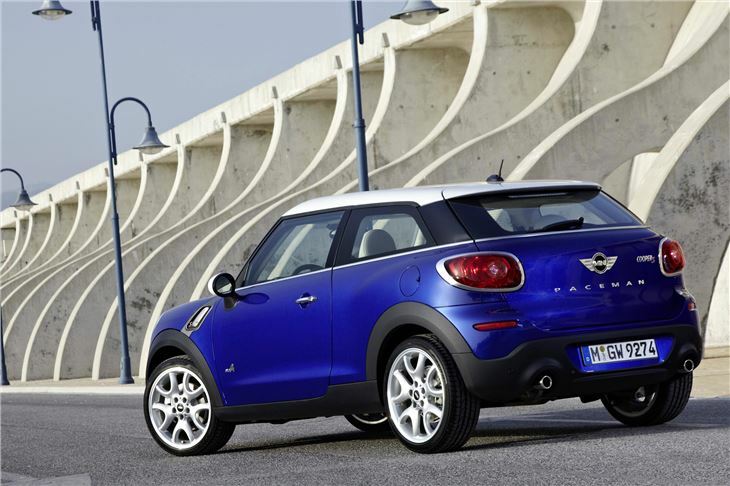 The Paceman is a strict four-seater, though practicality has not been sacrificed. Folding down the rear seats expands the rear load-carrying capacity from 330 litres (Focus sized) to a maximum of 1,080 litres. Access is via a large and high-opening tailgate, offering extra practicality for owners. In the front, the raised seating position gives the driver and passenger an excellent view in every direction. The instrument panel includes many familiar components, including the large round central speedo. However, its black surround and decorative inner rings in high-gloss black or chrome are new, as are the redesigned air vent surrounds. Buttons for the windows, which have been toggle switches below the speedo on every MINI to date, have moved to the door trim panel. Handling of the Paceman's is enhanced by optional all-wheel drive transmission. Lowered sports suspension as standard will help provide customers with an outstanding driving experience, though regular suspension and ride height are available as a no-cost option. From launch, Paceman customers will have the choice of four engines: two petrol and two diesel. All come with a six-speed manual gearbox, or the optional six-speed automatic with Steptronic function for manual control. The 1.6-litre 122bhp petrol engine offers a 0-62mph time of 10.4 seconds, fuel economy of 47.1mpg with CO2 emissions of 140 g/km. 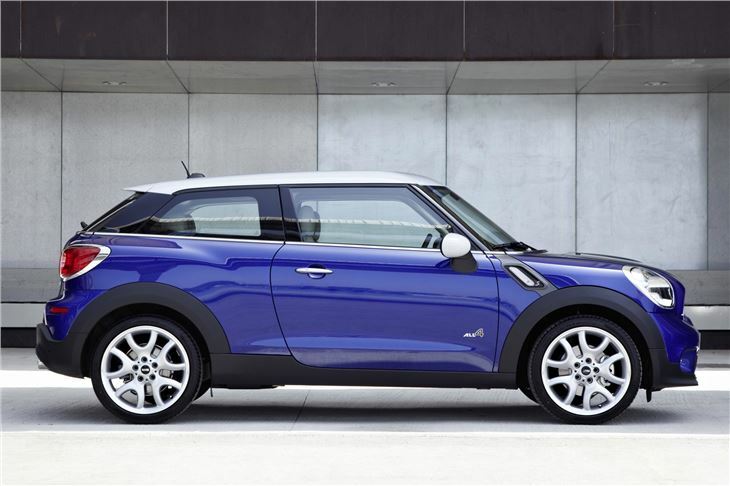 The MINI Cooper S Paceman uses the same engine, tuned to deliver 184bhp and gets to 62mph in 7.5 seconds. Fuel economy is 46.3mpg and emissions are 143g/km. MINI Cooper D Paceman has a 1.6-litre 112bhp turbocharged engine with a 0-62mph time of 10.8 seconds. It will provide owners with a frugal 64.2mpg fuel economy and 115g/km emissions. The flagship diesel is the MINI Cooper SD Paceman with the familiar 2.0-litre 143bhp engine. Its 0-62mph time is 9.2 seconds. Fuel economy is 61.4mpg with an emissions figure of 122g/km. A John Cooper Works Paceman version is in development. Driver aids include Dynamic Stability Control (DSC) as standard across the range, with Dynamic Traction Control (DTC) including Electronic Differential Lock Control (EDLC) on the MINI Cooper S Paceman, Cooper SD Paceman and Cooper D Paceman ALL4. Light alloy wheels in 16-inch and 17-inch sizes are standard, with 18-inch or 19-inch on the options list. Outstanding occupant protection is provided by an extensive range of safety equipment including front and side airbags. Side curtain airbags are fitted in both the front and back. ISOFIX child seat attachments in the rear and a tyre pressure warning are on every Paceman. 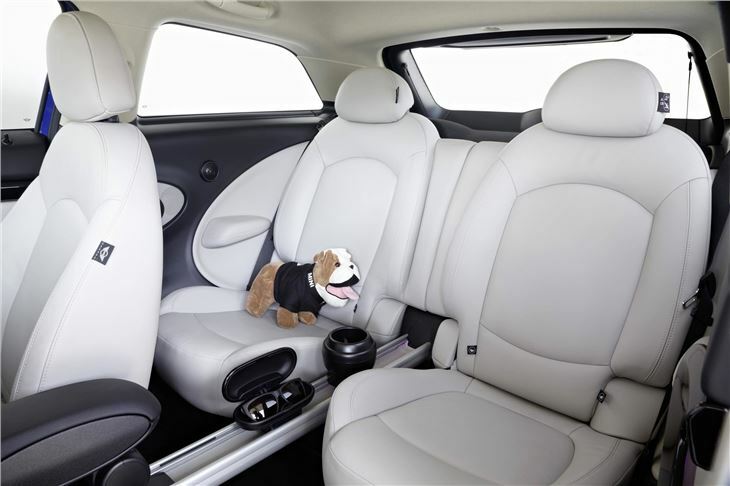 Other standard equipment includes air conditioning, powered door mirrors and front sports seats. 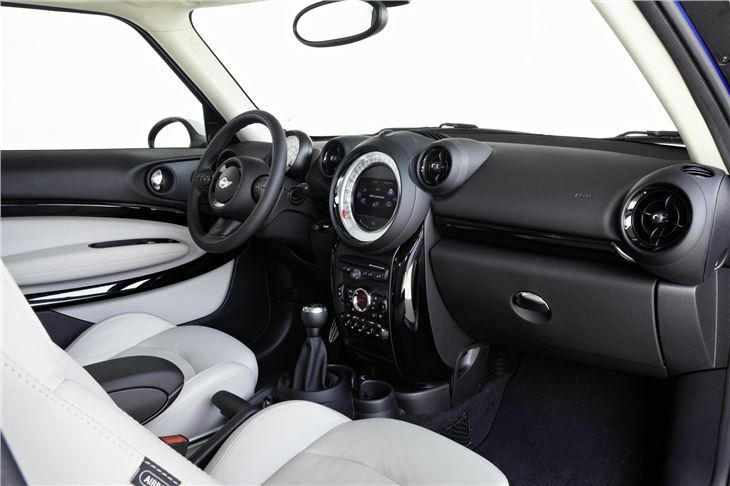 Popular options will include Xenon Adaptive Headlights, Park Distance Control, an electrically operated glass roof plus the MINI navigation system. Advanced infotainment functions are available via MINI Connected. A range of optional equipment packages will also be available providing customers excellent value and helping to promote strong residual values. Eight exterior paint shades are available including the new Brilliant Copper and Blazing Red. Starlight Blue also previously unseen and unique to the Paceman. As always with MINI, personalisation is expected to be very popular and there is an extensive choice of bonnet stripes, upholstery variants, interior surfaces and Colour Lines. It will go sale on 16 March 2013 with prices starting at just £18,970 on the road.